Sweetwater’s amazing and knowledgeable event planners will be serving samples of Chef Colin’s delicious catering menu at the Solutions Bridal Expo this Sunday January 27th from 12-4 at the University of Florida Hilton! They’re ready to answer all of your questions and show you how Sweetwater Branch Inn is the perfect all-in-one wedding location to make your dreams come true. Make sure to get your tickets early – there are GRAND PRIZES: Honeymoon Cruise Getaway and 2 Wedding Day Giveaways! More information can be found at www.solutionsbridal.com. Whether you’re still deciding on a venue or haven’t found the perfect caterer – we’ll see you Sunday! 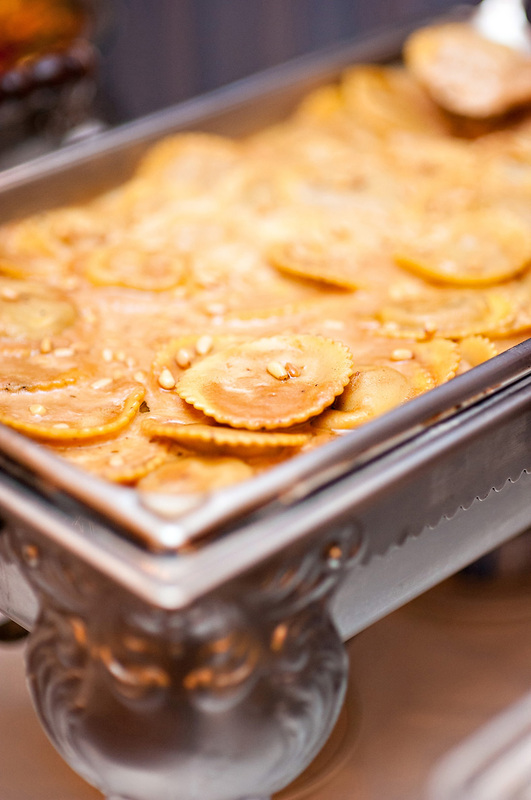 We’ll be serving our tasty wild mushroom ravioli with a sherry cream sauce topped with toasted pinenuts. YUM. Stop by to get a taste!